Grab your friends and sail the Cyclades Islands on a private yacht for 6! Set sail in the Aegean Sea and discover the natural beauty, classic architecture, and warm culture of the Cyclades Islands. Embark on an 8-day sailing adventure around Greece's spectacular Cyclades archipelago, starting and ending in the capital city of Athens. Hop aboard Bearing True South's 46-foot, luxury sailboat and be amazed by the ancient architecture and warm, hospitable culture as you make your way around one of the most famous archipelagos in the world. The Cyclades have much more to offer than pristine beaches, crystal clear waters, and amazing sailing experiences. They are the cradle of over ten millennia of rich history, boast extreme geographical diversity, abundant marine wildlife, and feature outstanding traditional Aegean architecture and Mediterranean cuisine. Begin each day with a morning swim before setting sail to the open seas. After an afternoon of sailing, explore beyond each island's marina, savor the local culture and flavors, and learn a thing or two about the history of this immensely beautiful part of the world. At the end of each day you'll retreat to your private yacht where you and your friends or loved ones can take in the Mediterranean in comfort. The price for this trip is for the entire boat and it can comfortably accommodate up to 6 people comfortably in 3 private cabins. This sailing adventure is all about exploring the cosmopolitan island of Mykonos and its surrounding islands. You'll also be visiting the islands of Kythnos, Tinos, Delos and Kea in no specific order, depending on wind and weather conditions. Kythnos is renowned for its great seafood and near-tropical waters, while Tinos boasts unique traditional architecture and easily accessible swim spots. Kea, the island closest to Athens, is the place to visit if you’re looking for off-the-beaten-track hiking and Delos is a true highlight of any visit to Greece, with postcard perfect ancient ruins overlooking the Aegean. The island is uninhabited and has been for the better part of the past two millennia, and its proximity to Mykonos makes for the ideal day trip. The cosmopolitan island of Mykonos, with its vibrant nightlife, pristine beaches, white-washed churches and traditional windmills, is the main focus of this adventure. You’ll have more than enough time to explore the main town, or hitch a local ride to the various villages scattered around the island. You can take in the culture, enjoy some world class dining or take part in various outdoor activities, such as ATV driving, diving, snorkeling or sea kayaking. The sailboat will be at your disposal at all times to take you to various swim spots and beaches around the island that are accessible only by boat. On a typical day of sailing with Bearing True South, you usually have breakfast on board, allow some time for an early morning swim and then sail to the next destination. You'll have a break from sailing in the early afternoon for another swim and lunch. An anchor is dropped in a marina or a secluded bay in the early evening for a relaxing night of solitude. The skippers know where to find the best food, snorkeling and sights, so you’re always encouraged to ask away! 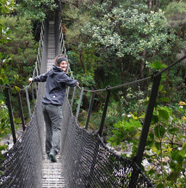 Bearing True South is more than an award winning adventure travel company. They are a team of like minded, experienced travelers who share certain values on what a journey means to everyone involved in the process, be that the visitor, the host community or the natural environment itself. With the objective of providing travelers with authentic, memorable, place dependent experiences, they organize nature-based guided tours, ranging from off-road road trips and treasure hunt themed sailing, to shipwreck diving and adrenaline-charged multi-day mountain treks. They cooperate with hand-picked certified specialists with several years of experience in each activity and work together with carefully selected locals who contribute their extensive knowledge of the places they visit, in order to deliver high quality travel experiences by travelers for travelers. Check your compass, get your bearings, join them on one of their adventures and let them show you Europe's stunningly beautiful True South! Trip of a lifetime last week with Stavros and Andreas. We can’t thank them enough for a fantastic week of sailing, exploring, hiking, and of course eating our body weight in feta! Their decision to highlight Bearing True South was wise and they’ve selected a company that puts clients first during their adventures. Thank you to both of them for this trip! Can’t say enough positive comments about Bearing True South, our skipper Andreas, and Captain Stavros! Just completed an amazing sailing adventure with Bearing True South. I know I would have loved Greece no matter how I explored it, however, thanks to Stavros I fell in love with it. We explored areas we would never have known existed and learned history, geography and sailing. We ate with our fabulous new Greek friends "family style" at restaurants so full of amazing authentic Greek flavors. And.... to top it off we ended everyday with lots of laughs and stories of our day’s activities, while making fabulous new friends! I couldn't have experienced all this on my own. 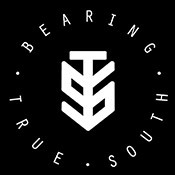 Thank you Bearing True South and Stavros! We really felt like locals visiting some of the smaller islands. Visiting swim spots that are only accessible by boat really added to the overall experience. I've traveled all around the world and I have to say this was one of the most memorable sailing trips of my life. Our skipper even surprised us with an amazing BBQ under the stars, by an uninhabited tiny island! Thanks to Bearing True South we got to cross a few things off our bucket list. Best part of the trip was seeing dolphins swimming next to our sailboat. All departures guaranteed! Please do not make travel arrangements until you have received confirmation from Bearing True South. Yes, your departure for this trip is guaranteed but please do not book any flights until you have confirmation from Bearing True South. Fly into Athens International Airport (ATH) which is a mere 28 miles from the marina. Most, if not all, major airlines have regular flights to Athens from all over the world. There’s pre-paid and metered taxi stands at the airport and a taxi ride to the marina should be around $50-$55 depending on traffic. If you plan to stay a few days in Athens before or after your trip, let Bearing True South know and they will recommend hotels, sightseeing guided tours, and the best of Athenian cuisine. Bearing True South operates a fleet of 5 sailing yachts, each with 3 or 4 double cabins, a large sundeck and a comfortable indoor galley for meals and relaxing. They are equipped with an extra inflatable boat (dinghy) and a boat ladder to facilitate swimming and snorkeling activities. On all trips, accommodations are on a double share basis. On this trip, you'll be traveling on a 46-foot sailboat built in 2006 and fully renovated in 2017. She is exceptionally catered for by Bearing True South, and boasts one of the larger decks out there. She can very comfortably accommodate up to 6 guests in 3 double cabins, plus a skipper and a guide in separate quarters. She has 2 WCs / showers, a large sundeck, solar panels, and a very spacious kitchen / dining room / living room area under a massive deck that is fitted with 2 large couches, separate sitting area for the skipper and guide as well as a ton of space for sunbathing in the front. When traveling with Bearing True South, you'll experience a great variety of delicious food based on traditional Greek cuisine. Emphasizing the regional cuisine of their destinations, Bearing True South carefully selects local, family run, restaurants. On a day when a barbecue dinner is included in the itinerary, expect local cheeses, vegetables, meat or fish and bread from local markets. Barbecues take place on beautiful island beaches, where you can either help with the grilling and marinating or, alternatively, you can opt to have a swim under the stars while your guides cook for you. Some meals on board the sailing yacht are included in the standard price of tours. "Light lunch" and "breakfast" usually refers to fresh Mediterranean salads, milk, cereal, sandwiches, omelets or fresh fruit and local cheeses. When a meal is not included feel free to ask the tour leader to suggest a local restaurant in the village or town you are staying. The places recommended are local eateries the guides evaluate and they constantly check to make sure quality stays the same. If you are vegan or vegetarian, or you have any food allergies or any special requests when it comes to food, please let Bearing True South know at the time of booking, so they can make arrangements when shopping for supplies. Greece is pretty inexpensive compared to most European countries and North America. Plan an extra $40-$60 a day for personal expenses, alcoholic drinks, and a taverna meal. On some of the popular islands, meals tend to be on the expensive side if you opt for fine dining in Michelin star establishments, but a traditional gyro or souvlaki meal should not cost more than $5-$10. Packing as light as possible is always important on an adventure tour and keep in mind that space is limited on board a sailing boat. Travelers are expected to bring with them a backpack or suitcase as well as a daypack for personal items and valuables. A full packing list can be provided upon request. Book confidently with Free Cancellations within 72 hours of booking. After 72 hours, cancellation fees will apply. Cancellations are subject to the full discretion of Bearing True South. For more information on our Travel Cancellation Policy please Click Here.